Let’s mix it up a bit shall we? Let’s talk about Storm Reid. She’s 14. She has to carry a movie that cost over $100 million to make. She has to avoid being a blank slate, avoid the pitfalls of the “she’s just a child actor”, sell being an actual human being with facets. Someone with anger, love, fear, doubt, uncertainty about herself and her worth, and her image. She also has to be likable while being all of this. She has to have chemistry with her cast, especially Chris Pine as the movie hinges ultimately on them being able to sell the relationship of father daughter and what they would do for each other. I’d like to say, no I will say: She succeeds. This movie would collapse around its (many) flaws if it weren’t for this child. The earnestness of her performance and it’s actual complexity allowed me and my film partner tonight to get lost in the film and feel. We both identified with this character (probably a bit too much) not because of her being an “everywoman/everyman” a tabula rasa to imprint on and see ourselves in. We saw ourselves in her because of her flaws. her quirks of personality, and her world view. Reid makes the character a compelling one when I’ve seen the majority of adults fail at such tasks. She isn’t alone, 9 Year Old Deric McCabe as Charles Wallace and 15 Year old Levi Miller’s Calvin play with the same heart and conviction on dialogue that really doesn’t work; yet somehow they made it work. Chris Pine reminds us he is a very talented actor and the scenes he gets with Reid are sold with every fiber of his being. Mindy Kaling steals the frame every time as Mrs. Who and outshines even Ophrah (Mrs. Which) and Reese Witherspoon (Mrs. Whatsit). Even with limited screen time Zach Galifianakis and Gugu Mbatha-Raw make their scenes work. All of this tells me the casting department deserves a raise. Each of the actors puts their hearts on their sleeves for this and goes for it – which makes this movie have the heart it does. Which left me in tears in more than one scene. Sadly, the script by Jennifer Lee (Frozen) and Jeff Stockwell (Bridge to Terabithia) is a bit rough at times. Lesser actors under a lesser director would have struggled with this. What I don’t know if the dialogue was there and edited out or just not there. The movie suffers as many do in their adaptations. Again, I’ve never read the book but I can tell you watching the movie that it was based on a book and that there’s a lot of material left on the cutting room floor or in the writers room. There are technical flaws beyond the writing that need to be addressed as well. The movie runs screaming at a break neck pace for the first hour, barely giving time for the characters to breathe, to let scenes soak in, or even explain anything of whats going on. I firmly believe in show don’t tell, especially in film, but you have to actually….show. This might be intentional as I think of a scene on the Act II to Act III bridge, but I can’t be certain. There’s very weird edits, there’s scenes very clearly missing (including very obvious ones from the trailer), and again the dialogue at times is beyond hokey into the pokey. I appreciate when you are in the realm of fantasy that not everything has to look “real”, that the cartoonish can work and I will forgive the movie some of this because there was such a distinction sold in the movie of what is earthbound and what isn’t. The movie pushed it’s luck here a few times, but always won me back. What ejected me more often than not was the music, not score, that was inserted into the film. The songs themselves are fine, but they just did not work in the moments they were using them or were just so jarring it broke me from what I should be feeling to wonder why they used lyrical songs rather than a fantastic score by Ramin Djawadi. There are some questions I have about the camera work that most folks won’t notice but film reviewers might. It’s called a Mid shot guys. You can do it. I promise. Not everything needs to be a 180 close. So yes, this is a heavily flawed movie I have the power to dissect like a 10th grade biology student, but I don’t want to. Ava Duvernay (Selma) directed this with such conviction, brought out tremendous performances, and hits on more than a few points of modern culture for young people of colour in such a way that it rings true. Few other directors could have pulled off a few of these beats with such tact and even subtlety as they work well into the narrative of the movie. It does deserve our dollars though. 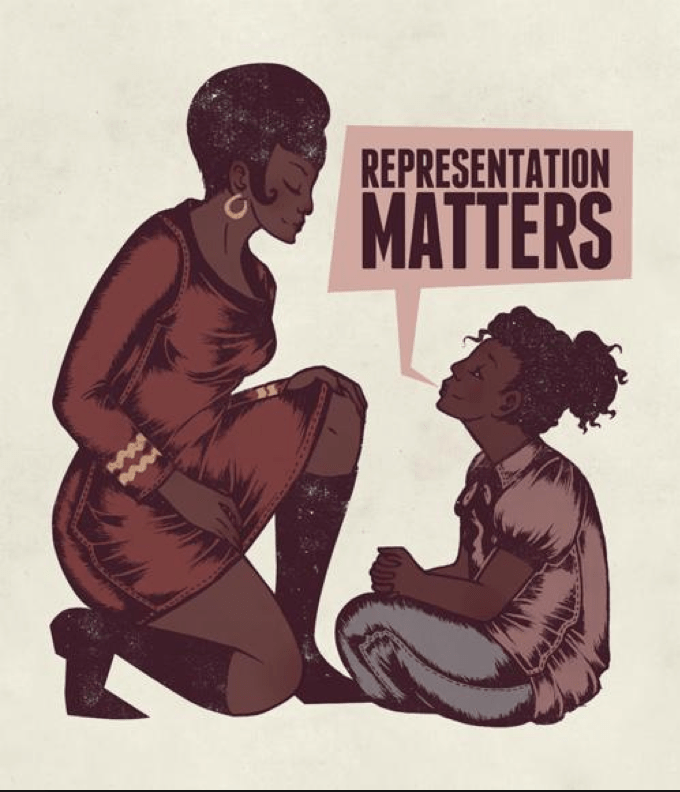 Representation of a young child of colour being in front of the camera, and a long standing woman of colour in the industry behind it (not to mention Oprah Winfrey too). This movie like Get Out (congratulations Jordan Peele on your Oscar), and Black Panther is so important that it deserves our money, and yes, forgiveness for its flaws. If that isn’t a reason to see it. I get it. Here’s another. I meant what I said about this being a good family film. It has so much heart, it has a good message that doesn’t come across as saccharine or insincere. It is enjoyable. It is a bit of light in the darkness we have in the world right now. That’s also good enough for me. Yes. Big screen needed for some of the great visuals the movie has. IMAX if you can, 3-D optional. D-Box could be fun too. Being honest? Not in theatre no, but thats due to other things I plan to do not from lack of enthusiasm for this. Yes. I might even try to get it a 4K TV for it too. At least BluRay though. Why so forgiving on this? Because it made me feel. It sold the message it was trying to. I was with Reid’s character. I was her and there are a lot of films that just don’t earn the emotion the way this one did. I haven’t actually watched/read the other reviews that are saying this isn’t that good or is disappointing beyond their headlines. I went in hoping for something good and pure, and looking for a sense of wonder and joy. I found it. I hope you can too. What happened to the Death Wish review? Life. Bad news Thursday as I mentioned on FB when I was writing it. Then worse news over the weekend. I will publish it this weekend. Promise, it doesn’t deserve it though. I might go see Thoroughbreds this week during the work week. I loved Anton Yelchin, so getting to see him one last time might be worth it. I hope. Also next week is Tomb Raider.